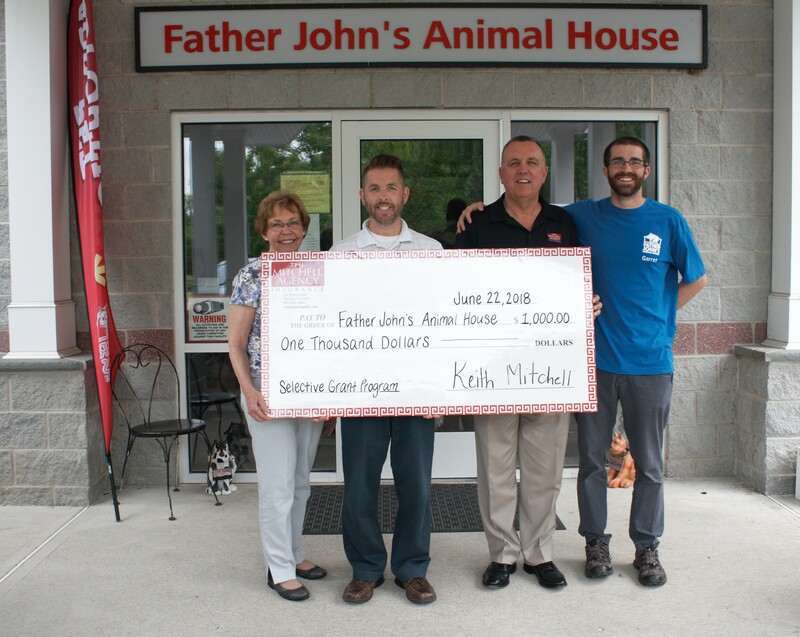 Newton, NJ – On 6/22/18, the Mitchell Insurance Agency and The Selective Insurance Group Foundation joined forces to support the positive efforts of Father John’s Animal House through a $500.00 grant. The Selective Insurance Group Foundation is a philanthropic affiliate of Selective Insurance Group, Inc. (Nasdaq: SIGI). 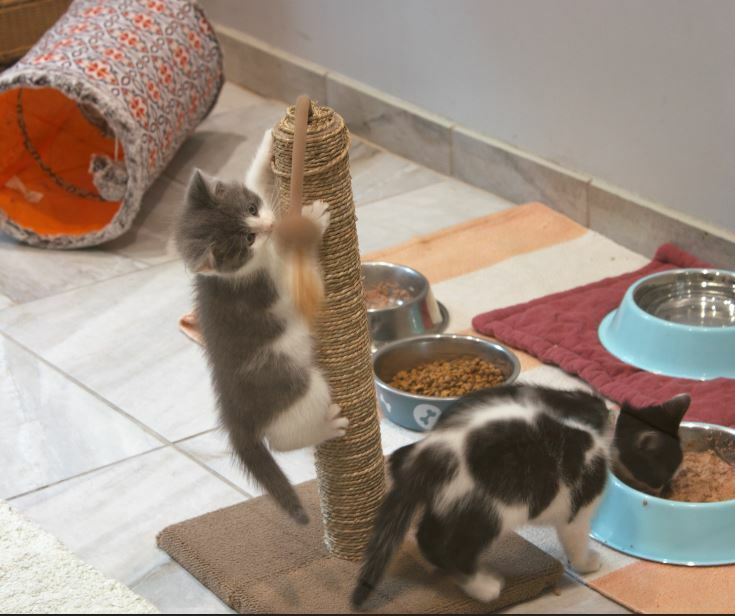 “We are glad to help out a non-profit organization like Father John’s Animal House who emphasizes high standards and a focus on providing veterinary care, necessary medication, housing, love, food, companionship and time for the rehabilitation process. They are a valuable resource of knowledge and deliver legendary service to the families of Sussex County.” said Keith Mitchell, President of Mitchell Insurance Agency. 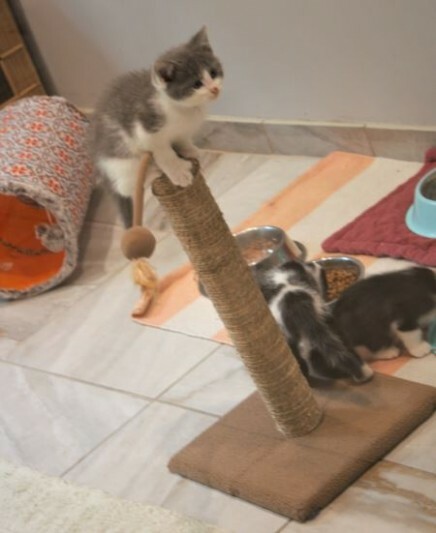 The grant represents a $500.00 donation from the Mitchell Insurance Agency matched by a $500.00 grant from The Selective Insurance Group Foundation. “At Selective, Response is everything®… and this includes responding to the communities where we live and work to give back and help those in need. “Together with Mitchell Insurance Agency, we are proud to support Father John’s Animal House and its efforts to make a difference in the community,” said Chuck Musilli, Senior Vice President, Distribution Strategies, Selective. The Mitchell Insurance Agency was founded in 1961 by Samuel Mitchell. For over 57 years, The Mitchell Insurance Agency has been a family owned and operated firm providing insurance for your business and personal needs. In fact, as founding members of the prestigious New Jersey Agents Alliance (NJAA), we take pride in serving our friends and neighbors with more insurance choices than any other Sussex County based agency. Our expertise even extends beyond our Northern New Jersey home market as we provide innovative insurance solutions to customers throughout New Jersey, New York, Pennsylvania and across the United States.